I'm taking a drawing in color class, and today we did a self portrait project. It involved printing out a picture of yourself and use a gridding technique to draw your face. I'm pretty surprised at how accurate gridding can be. I did my self portrait in oil pastels while the others in class did it with colored pencils. I just love how you can use the oil pastels almost as if it were paint. 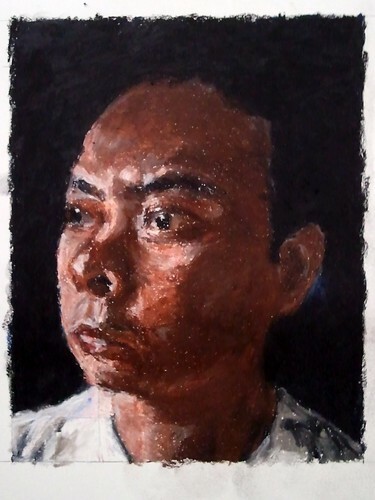 Self Portrait, originally uploaded by flyingroc.